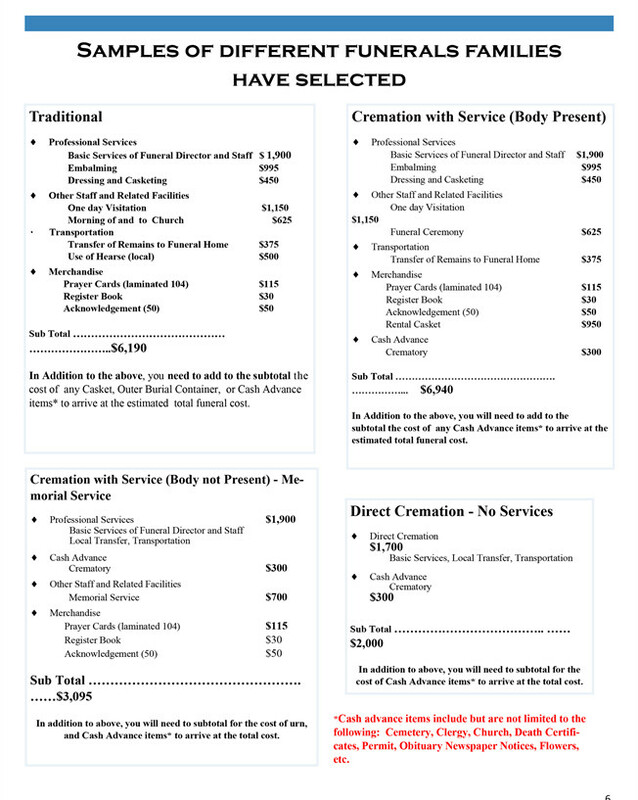 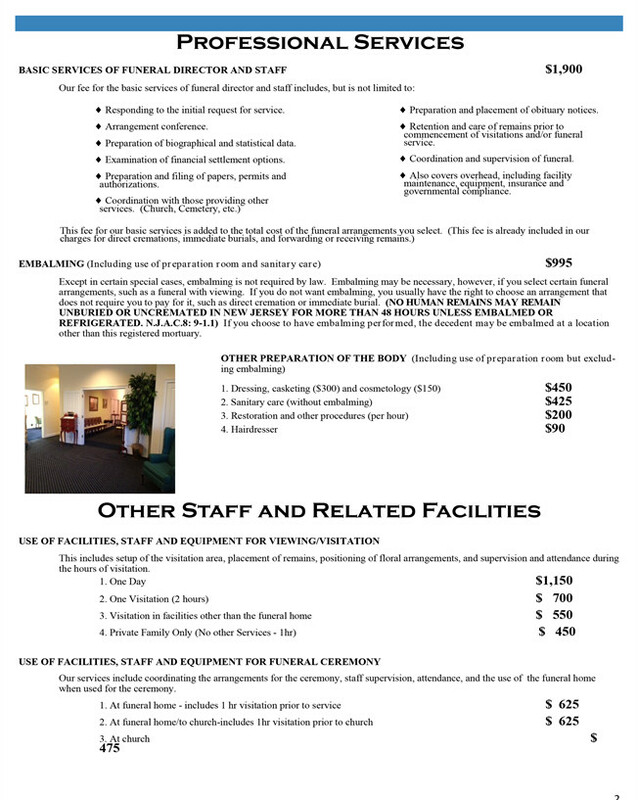 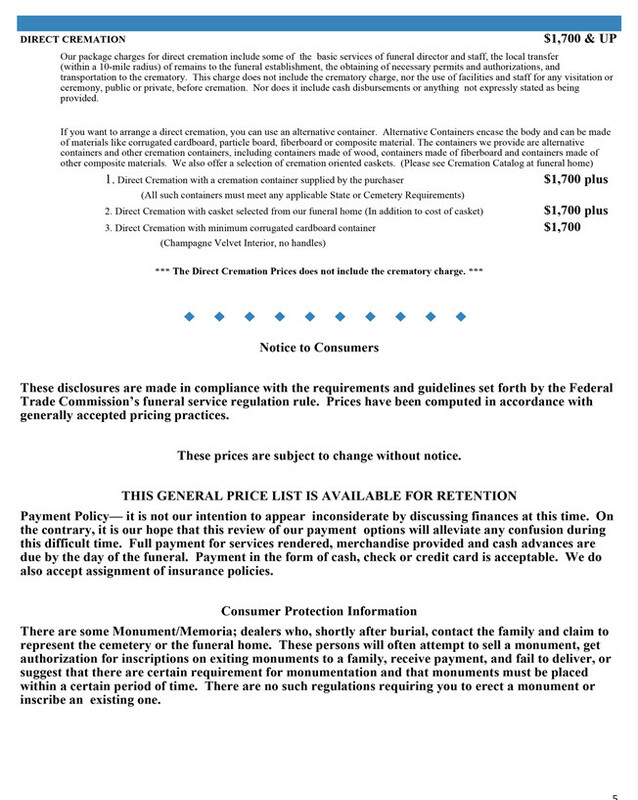 For your convenience our General Price List is now available with a sample pricing sheet of our common services. 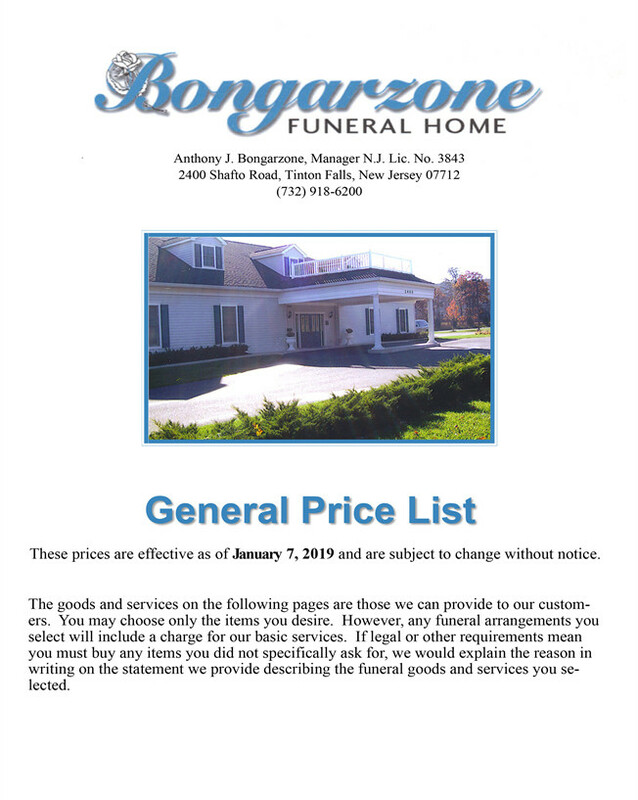 We at Bongarzone Funeral Home strive to honor the request of each family by personalizing each service to meet their needs while honoring the wishes of their loved ones. 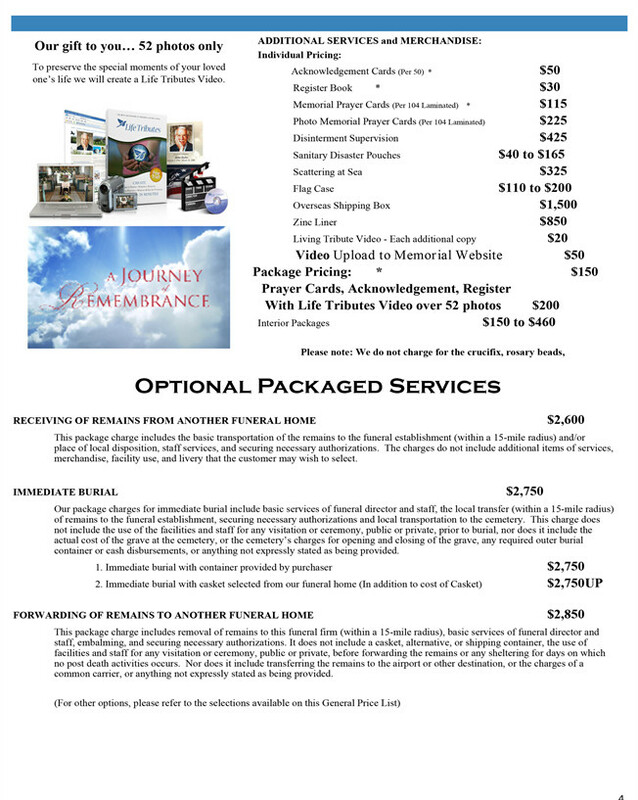 As you will see, our pricing is reasonable and competitive. 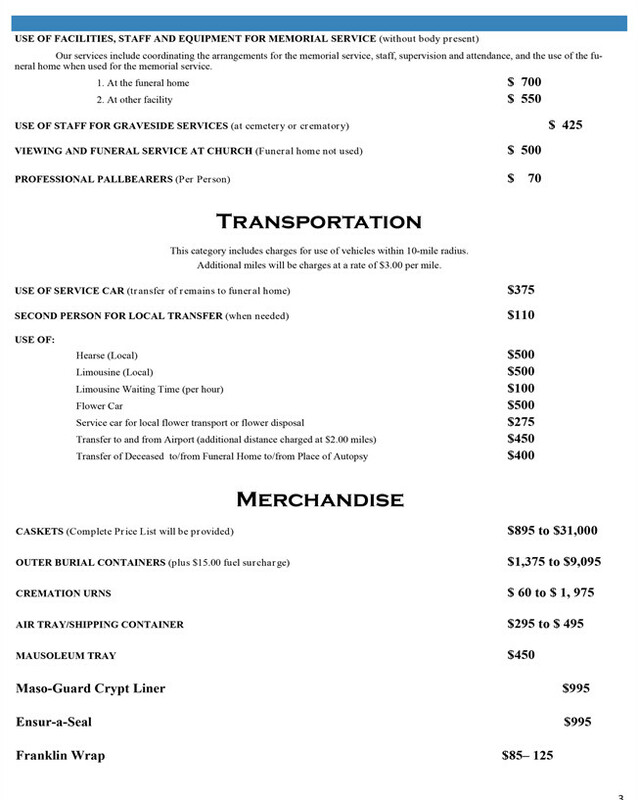 Below is our entire General Price List.